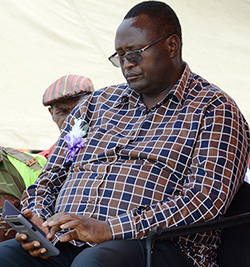 DANGAMVURA-CHIKANGA MP, Isau Mupfumi has urged the deployment of uniformed soldiers in local schools to deter defiant authorities who continue turning away orphans defaulting on paying fees. 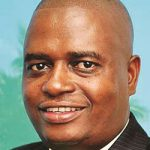 The Zanu PF legislator had asked Labour and Social Welfare Minister Petronella Kagonye during parliament’s question time last Wednesday on why government had suddenly cut the payment of a monthly $20 assistance to orphaned households and widows. Kagonye, in her response, denied abandoning the responsibility, saying affected families were, in fact, now receiving $50 through what she called harmonised cash transfers as well as maize, clothes and school fees for children. 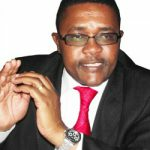 However, Mupfumi said this has not been the case in his constituency as he went on to prescribe the deployment of uniformed soldiers to monitor rogue school authorities who continued to turn away children for defaulting on school fees. “These groups of people are actually suffering, and vulnerable children are not going to school; they are being sent back home,” he said. “Maybe, you should also task a single member of the army for each school to ensure that children are not sent away from schools. 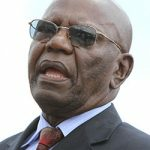 Mupfumi was however, rebuffed by the Speaker Jacob Mudenda who said the social welfare ministry had its own personnel to deal with internal matters as opposed to seeking the services of the military. “So, we do not need interference by the military,” Mudenda said. Zimbabwe’s military has become a symbol of both relief and fear among citizens for its bold decision November last year to seize power from feared President Robert Mugabe on the ostensible attempt to restore accountable leadership. Meanwhile, in her address to MPs, Kagonye said government has since paid off outstanding bills owed to schools through the Basic Education Assistance Module (BEAM) at the end of last year, something she said should allow schools to start accepting all children to attend class. Parliament heard that, this was the first time government has disbursed such an amount towards the programme at one goal.